Pupils from five local schools made their way to Anfield to take part in Red Neighbours’ career speed networking this week. The event saw children from Alsop High School, North Liverpool Academy, Notre Dame Catholic College, The Academy of St Francis of Assisi and North Liverpool Academy chat to LFC employees about their career paths, the difficulties they’ve faced and their advice for the future. 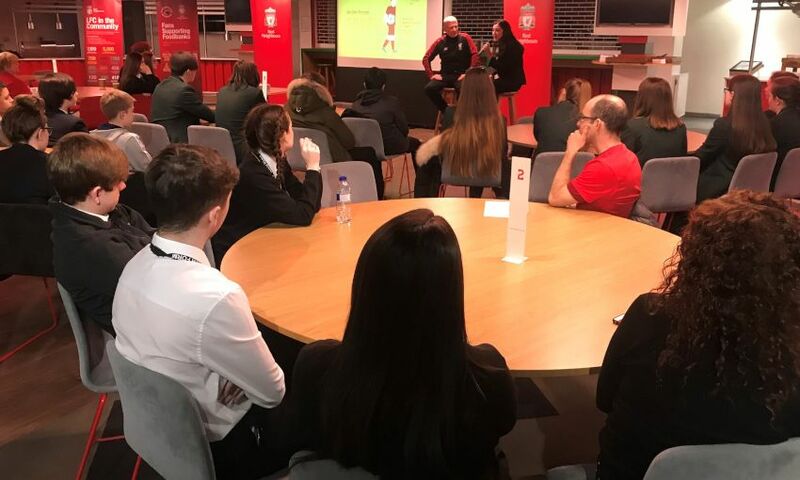 Throughout the session, pupils were able to pick the minds of representatives from six different departments within the business, allowing them to explore the real variety of roles that a club like Liverpool has to offer. Red Neighbours' career speed networking events are designed to allow local pupils to learn about the education history and career paths of club employees, discover the many different opportunities available within football, and receive guidance on how to be successful in their chosen occupation. Since the first session in 2017, career speed networking has engaged hundreds of local children and demonstrates Red Neighbours’ commitment to creating memorable experiences for young people.